Delhi Airport’s Getting A New Robot That’ll Entertain & Check You In! 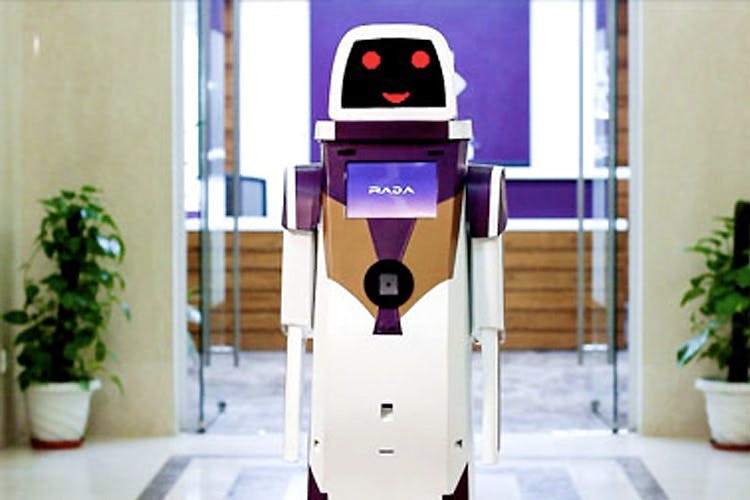 Indira Gandhi International Airport’s T3 is getting a cool new addition: A robot called RADA. The intention is to have it answer your questions, check you in and keep you entertained. You’re likely to find it there from July 5th onwards, and it’ll be programmed to scan boarding passes, assist with real-time updates, give out information on departure gates, your flight status and the current weather conditions. It’s hand movements and ability to travel pathways will make it more fun to interact with. Oh, and it can play music videos and games with kids and their bored parents. Wondering where you can find it? At Vistara’s Signature Lounge because hey, they are the folks behind this fun innovation. Another fun fact: It also happens to be India’s most economically developed robot. Yay to that! Cut to the future: The developers see it walking around manning the conveyor belt and serving drinks. We first read about RADA the robot here.